If Route 66 is part of your family road trip itinerary, it helps to stock up the knowledge bank with this fun little guidebook about the famous byway. Planning to "get your kicks on Route 66?" 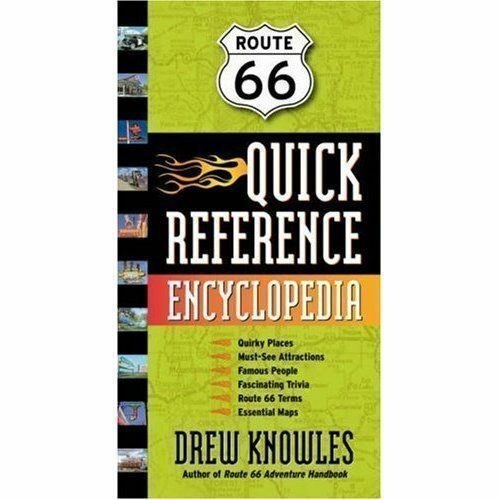 This handy book by the author of the more detailed "Route 66 Adventure Handbook," offers information on the highlights of the "mother road" in a portable format. To help you plan your trip, there are maps showing Rt. 66 throughout the states of California, Arizona, New Mexico, Texas, Oklahoma, Kansas, Missouri and Illinois. Then, in an A to Z format, the book covers places of interest for people intrigued by history, pop culture and geography. This is a wealth of information, well priced, easy to use, and offered in a very accessible format.